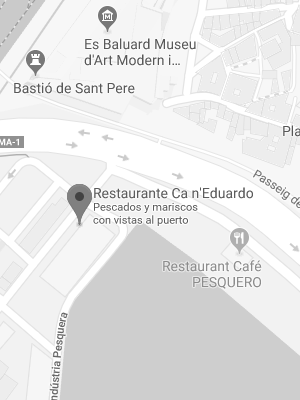 With a tradition of 75 years Ca n´ Eduardo is located on the promenade, next to the sea with unbeatable views to the Cathedral and the bay of Palma. We would like to inform our friends and customers that from the 4th of November until the 24th of February the restaurant will remain closed on Sunday evenings. We are sorry for any inconvenience.